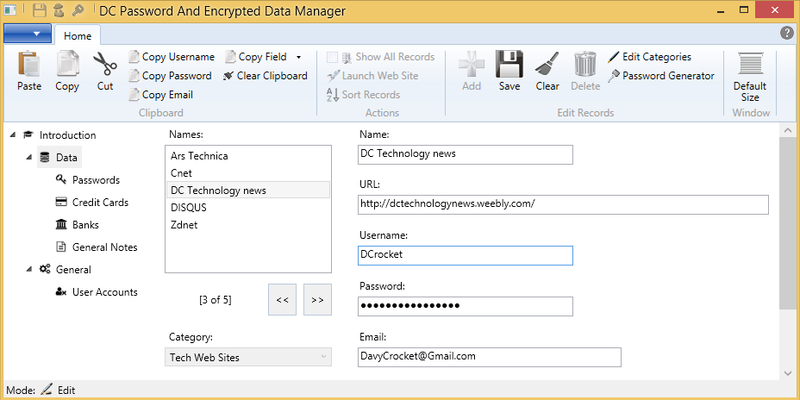 DC Password And Encrypted Data Manager Doc - Browse vs. Edit Mode - Douglas Computing, Inc. 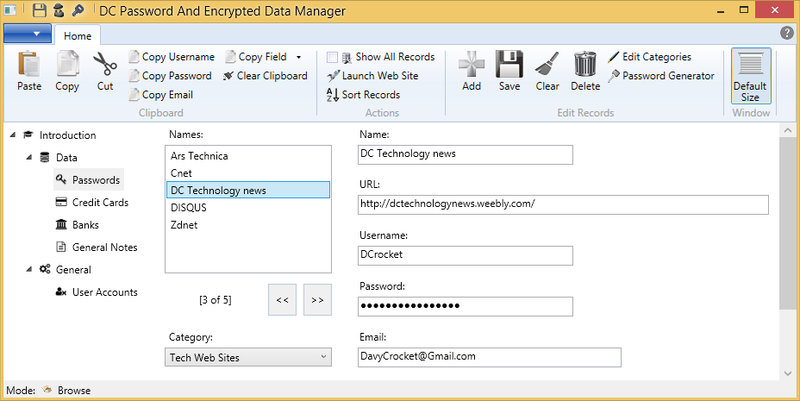 When you typically use the DC Password And Encrypted Data Manager, you do so in browse mode. You can tell that the application is in browse mode by the indicator in the status bar, at the bottom left of the screen. When you are creating or editing a Passwords, Credit Cards, Banks, or General Notes record, the application goes into Edit mode. Again, the indicator in the status bar, at the bottom left of the screen, provides a visual indicator that this is so - see illustration below. For you to create or edit a record, the application has to first be in browse mode. When you start to create a record by clicking on the Add button on the ribbon bar, or edit a record, the application goes into edit mode. For you to return to browse mode, you either have to save your record, or clear it of any changes, by clicking on the Clear button, on the application's ribbon bar.